A university, by its very name, can only be international at heart. Academics, staff, and students find in Tilburg University (TiU) a welcoming and vibrant environment irrespective of being Dutch or not. TiU excels in education and research at the international level. This requires an international perspective and a benchmarking of our practices to those of our competitors in Europe, the US, and Asia. TiU is attractive to top academics, staff, and students from around the world, who have the ambition to excel for the benefit of TiU and society at large. TiU adopts international best practices in all its activities. Its leaders are senior academics with a strong international reputation. This includes the academic members of the university board, the (vice-)deans, and the heads of departments and institutes. 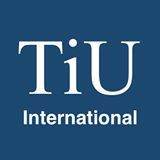 TiU adopts effective governance rules and practices, avoiding conflicts of interests among those in charge. TiU employs evaluation and promotion standards for academics, staff, and students that are transparent and in line with those of our close competitors. High performance is rewarded, long-term underperformance effectively addressed. Seniority comes with merit, irrespective of age. A university is for the very long run. The decision-making process is consequently thorough and comprehensive, not hasty and superficial. When possible, decisions take into account cost-benefit analyses and quantitative data. Decisions always acknowledge the different environments our schools and institutes operate in. We believe academics, staff, and students all have the right and duty to contribute to the governance of TiU. Decision processes throughout TiU therefore involve those affected by decisions. Information about upcoming decisions is communicated effectively and timely to those affected. Decision processes are transparent to the whole TiU community, so that there can be debate and all opinions may be voiced.